This month it’s a puppy and this one is all ears. Do you know which breed this is? Within the UK, English Cocker Spaniels are the most well known and most widespread of the spaniels. These relatively compact dogs – about as long as they are tall at the withers – tend to be naturally energetic, cheerful and affectionate with those they know. Did you know? 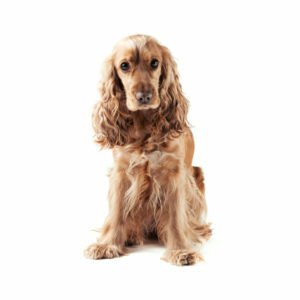 According to the Kennel Club, English Cocker Spaniels lead the spaniel pack in terms of their popularity within the UK. They enjoy a good life expectancy, unwavering popularity and well-deserved international success.